At a time when the volatile market condition makes profit-making difficult for the small businesses, VCA-CRM strengthens business-customer relationship & reduces operational costs. Companies can have an integrated CRM platform, where the entire business-customer interaction details are recorded and reported in the real-time. Owners, Managers & executives can keep a proper track of customer interactions & engagements even through smartphones, anywhere & anytime. With many of the advanced features, VCA-CRM allows small businesses to organize, manage & analyze customer data with the help of technologies. Companies can even understand the perpetually changing customer behavior and formulate effective business marketing strategies accordingly, therefore, resulting in a constant revenue generation. What makes VCA the best CRM software for small businesses? The quality of products & services is not the only criteria to retain the existing customers and attract new ones. Instead, customers value & VCA-CRM is aptly designed to deliver it. Value is defined by many such factors and delivering it, is not possible manually. But VCA-CRM makes it possible without involving huge costs, unlike the traditional CRM solutions. Designed to be an end-to-end automation solution, VCA-CRM reduces possibilities of communication errors. It perfectly aligns people, functions and processes to deliver complete value to customers — right from marketing, answering product related queries, taking orders, quality check, packaging, shipping to the delivery. There are many aspects of customer relationship management and with the automation of tasks, the entire CRM process is streamlined. The automation of day-to-day CRM tasks saves time for employees and hence, it enables them in putting more focus on providing improved services to customers. Unlike the traditional customer relationship management solutions, VCA-CRM consists of a flexible structure. Directors & Managers can integrate other various process, people & functions and have all sorts of information pertaining to customer interaction on their fingertips with the help of a visual dashboard. In case the customer relation team is not able to provide an instant solution to customers, the integrated platform allows them to escalate the issue to the concerned department directly. Designed to record and report transactions in the real-time, the visual dashboard allows employees to address customer queries even on the go. The customer care executives can view the visual dashboard even on their smartphones and check the details of customer’s engagement in the real-time. It creates enhanced visibility and hence gives better control of the entire CRM operation. VCA-CRM integrates the advanced media platforms such as emails, chats, SMS, VOIP and many more. Customers can connect with businesses through any of the mediums they feel convenient and get their queries resolved instantly. Be it emails, chats or be it voice calls, the entire communication & interaction record is saved at one place, in a separate profile created for every single customer. In case of a query, executives can directly visit the profile of the respective customer and refer to the history. With this integrated information platform, the customer relationship team can provide a quick resolution to diverse customer problems. VCA-CRM is designed with a Pushcord, which connects the entire business processes to a network. Therefore, when a customer places an order, for instance, the VCA Pushcord sends an automated notification to various stakeholders such as manufacturers, inventory, departments, customer care team as well as customers and that too at the same time. The Pushcord uses the power of networking to reduce the cycle-time and helps in a super-fast delivery of products & services ordered by customers. Moreover, it also boosts productivity & profitability of the small businesses. 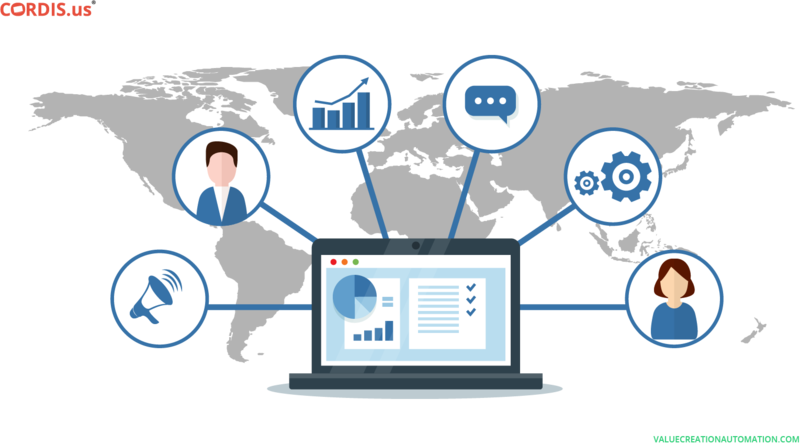 If the automated marketing process generates leads, an advanced CRM automation software plays a key role in closing most of the deals, or if said technically, in an efficient lead management. VCA-CRM integrates the automated marketing process to generate valuable insights on the continuously changing behavior of customers & market trends. And most importantly, it also helps in increasing the productivity of sales by a great margin. Sending automated communication to customers and informing them of various products & services helps in better nurturing of leads. VCA-CRM, on the other hand, with its two-directional communication approach enables executives in delivering an instant solution to diverse customer queries. This significantly supports in enhancing the conversion rate, resulting in increased productivity and profitability. 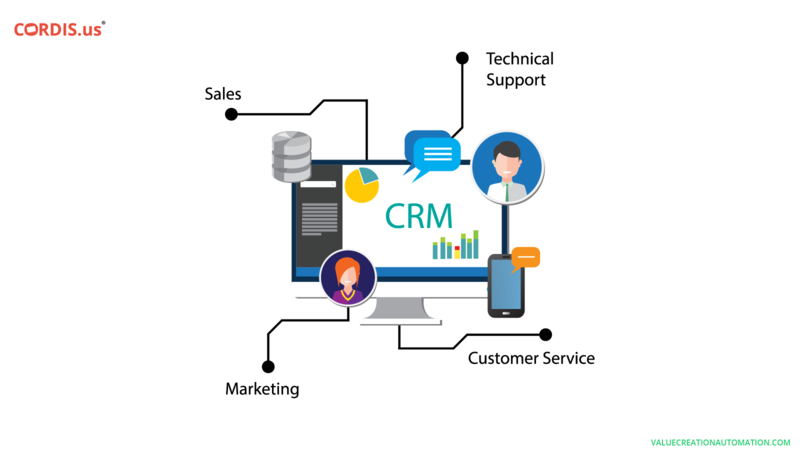 All these factors together make the CRM process fast, accurate & efficient and most importantly, helps in reducing the overall operational costs. Having implemented VCA-CRM, the small businesses do not have to bother about investing on the installation of software and hardware or about paying for the license fees. All such costs, including the cost of upgrade & update of the software application, is borne by the CRM software vendor. On one hand, where such factors help in minimizing the costs of operation, an efficient CRM process significantly supports in retaining customers while adding new ones at the same time. In short, VCA-CRM enables small businesses in generating a constant revenue. Why do small businesses need the advanced VCA-CRM Software? The continuously evolving technologies make the market volatile and forces businesses to participate in the race to gain customer’s confidence. With huge investments Large Enterprises, however, manages to retain consumers, but the real challenge lies for the small businesses. SMEs constitutes a huge number of the total business organizations across the world. Therefore, success & growth of small businesses would indirectly result in an increase in employment generation, economic diversification and an enhanced GDP. VCA-CRM enables small businesses in gaining complete customer support as well as in successfully attracting investors and creditors. We will all agree to the fact that the number of well informed and tech-savvy customers are perpetually increasing. And the credit for the same goes to its huge urban population, continuously increasing smartphone penetration, the Internet usage and of course, the active social media users. This keeps small businesses on toes as the competitors are many and customers are well aware of all the options available. In the prevailing market condition, VCA-CRM enables the small businesses in analyzing & understanding the frequently changing preferences of the end-users. 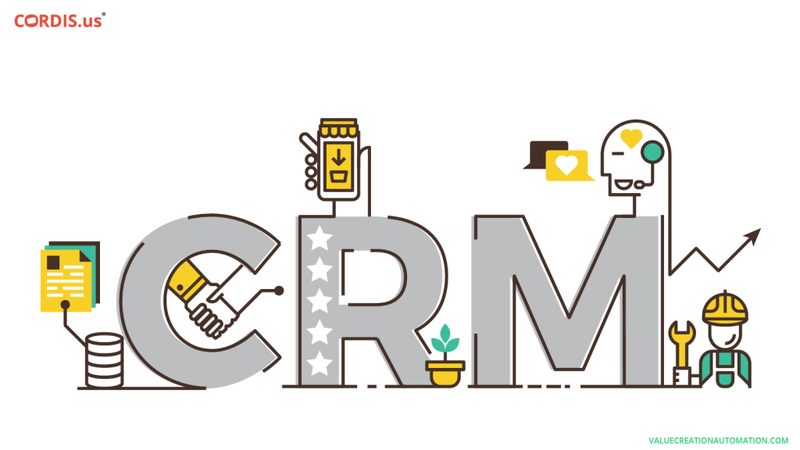 The integrated CRM platform creates more visibility and hence supports in a robust functioning of the process. Diverse customer relationship management tasks & functions are streamlined and it becomes uncomplicated for companies to develop customer-centric strategies. Unlike the traditional customer relationship management solutions, VCA-CRM is not limited to maintaining just the customer database. Incorporating disruptive technologies such as Automation and AI, this CRM automation software by Cordis Technology, play an essential role in driving the performance of small businesses towards a consistent growth and success. VCA-CRM uses advanced mediums to make the communication flow smooth. It is about being available to customers 24 x 7 and across the various media platforms, which significantly influences the customer’s buying decision. Deploying robust approaches and incorporating the continuously evolving technologies, VCA is the best CRM automation software, which can make small businesses fit to deliver the complete value to the tech-savvy customers.